WPP's Sir Martin Sorrell has today launched a digital content agency called Truffle Pig as a part of a tripartite with the Daily Mail and SnapChat, describing it as "a new way and new approach" to generating revenue. 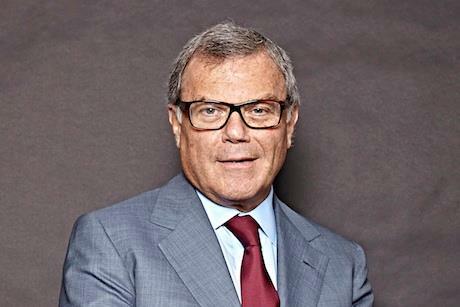 Launching Truffle Pig in Cannes today, Sorrell, the founder and chief executive of WPP, said that as the media industry continues to evolve, and amid a swathe of global clients currently reviewing their media requirements, "technology, data and content are critically important" for differentiation. Truffle Pig will not be tied to working with WPP’s advertising clients or with the Daily Mail as the sole media partner, instead it will aim to work across the media and ad industry. The digital content agency will specialise in content planning, development and creation, as well as amplification, and launches first in the US with plans for an international roll-out to follow. Sorrell said: "In a digital world overflowing with content, consumers crave quality. A next- generation company, Truffle Pig combines the best in media, content and user experience to satisfy people’s appetite for great storytelling – and inspire brand engagement, loyalty and sales." Jon Steinberg, chhif executive of Daily Mail North America, who will join the Board of Truffle Pig, said: "Great content isn't just about making it, it's about having platforms for it, about - at least in our world - engaging millennials, and having distribution. All of those things combined is what creates the perfect harmony and synergy." He went on to note that while more and more content is being produced, the need is for "good to great content" adding, "video isn't video unless, actually, somebody watches it." Explaining the name, Steinberg said: "A truffle pig finds the rare and tasty. With the need for story-driven marketing on our sites and those of other media companies, and new ad formats like Snapchat, brands need a truffle pig." Steinberg also said it's best to "fish where the fish... and SnapChat is where they are, and that's where we'll go." This article first appeared on Campaign magazine.